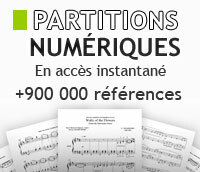 Un large choix de clarinette d'étude pour commencer cet instrument sans se ruiner ! Score and Parts. 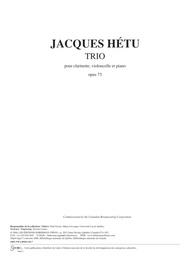 By Paul Hindemith. Schott. Size 9x12 inches. Published by Schott. By Peter Schickele. For Clarinet, Violin, Violoncello, Piano. Score and parts. Duration 20:. Published by Theodore Presser Company. For Violin, Cello, Clarinet and Piano. (Score and Parts). John Williams Signature Orch. Softcover. 12 pages. Published by Hal Leonard. (Innocents in Love) For Clarinet in A, Violin, Cello, Piano. By Robert Xavier Rodriguez. Ensemble. Size 9x12 inches. 52 pages. Published by G. Schirmer, Inc. Score and Parts. 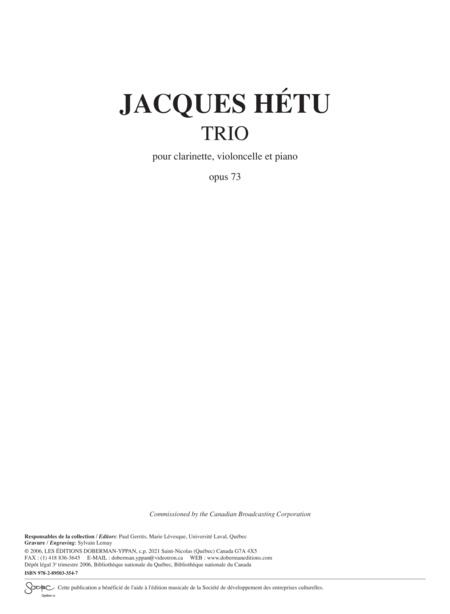 Composed by Peter Lieuwen. LKM Music. 60 pages. Lauren Keiser Music Publishing #X642713. Published by Lauren Keiser Music Publishing (HL.42686).